In November of 2014, YIMBY revealed renderings of Radson Development’s eight-story, 54-unit mixed-use building planned at 275 West 140th Street, in northern Harlem, and now the building is finally rising above street level, per Harlem+Bespoke. Dubbed Strivers Plaza, the building will include an 8,000 square-foot supermarket on the ground floor, as well as a 500 square-foot community facility space. Aufgang Architects is designing, and completion can likely be expected closer to 2017. 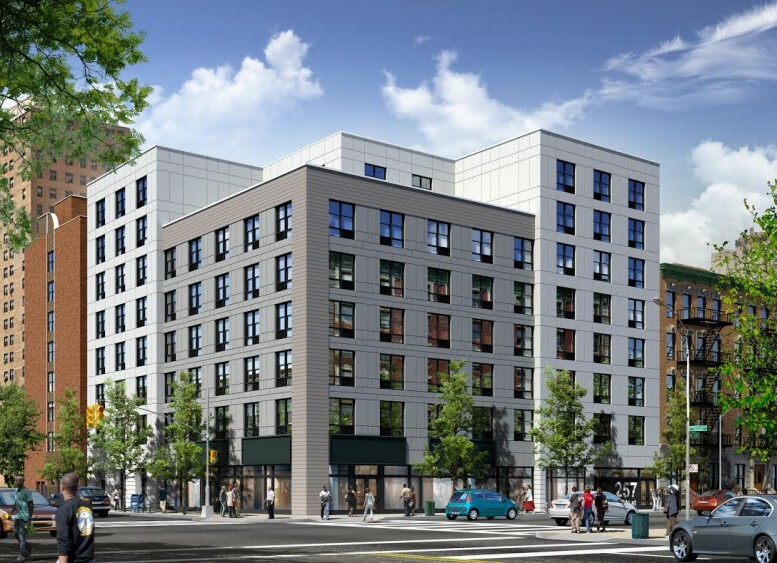 2 Comments on "Eight-Story, 54-Unit Mixed-Use Project Rises At 275 West 140th Street, Harlem"